Some back issues of the newsletter are available online, along with select articles from other issues. 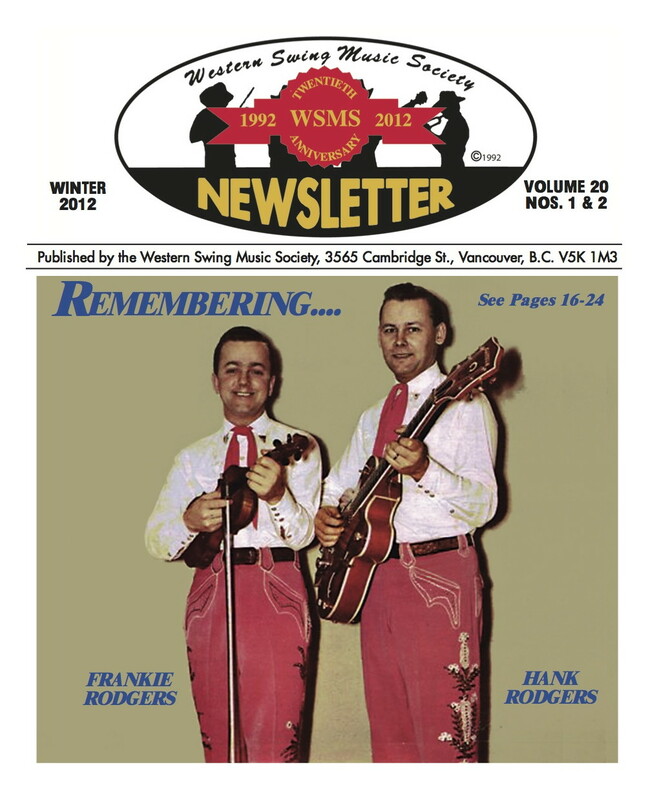 Print copies of the WSMS Newsletters dating from 1992 to 2006 are available for purchase. However, there are some issues where only a few are still available. - the destination - Canada, U.S.A., Europe, etc. All of the above will determine the overall cost to you of each newsletter. NOTE: Vol.14 - No. 1 & 2 - Spring 2006 - featuring the Rhythm Pals’ Profile is in very short supply and should you wish to purchase this 60 page issue, extra printing will be necessary…at an additional cost. The date of the issue and the name of the musician profiled are listed below…this might help you decide if you wish to purchase that particular newsletter.